In Mexico, it is called Agua de Jamaica. In Nigeria, it is called Zobo. In Egypt, it is Karkadé. In Australia, it is Rosella. 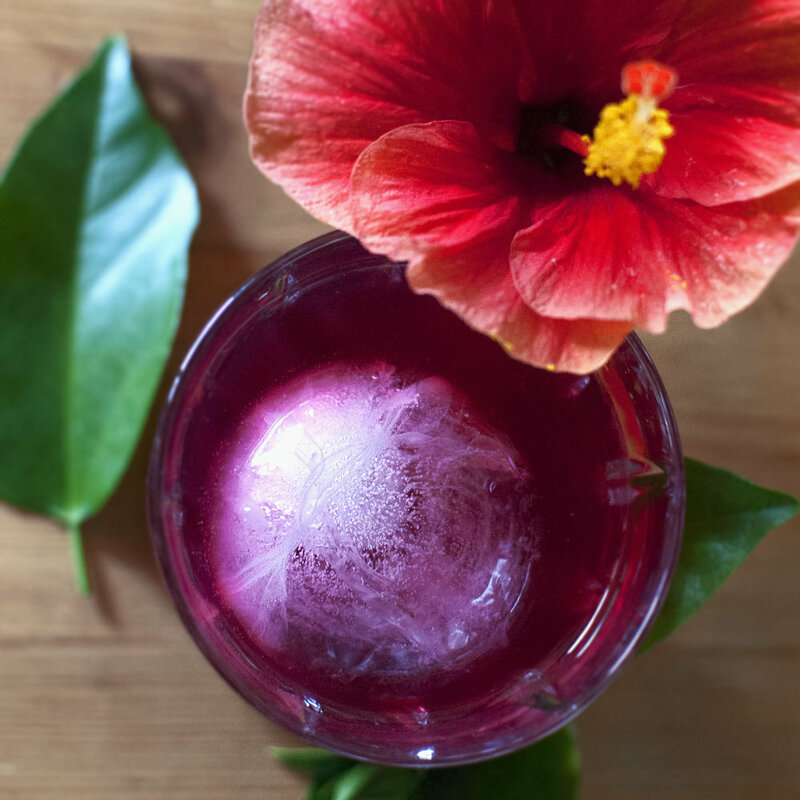 Hibiscus flowers are steeped and sipped all around the world, enjoyed both hot and cold. While there are hundreds of species of Hibiscus, the one most commonly harvested is the Hibiscus sabdariffa. This flower looks nothing like the one I have pictured next to the drink I made. In fact, the hibiscus drink is not made with the flowers, but the calyxes, the small red leaves that make up the base of the flower. The calyxes make a ruby red infusion, it's flavor fruity and tart, like cranberries and lemon. In some regions, Hibiscus is steeped with ginger, cinnamon, and clove. Other ingredients that are popularly blended with hibiscus are rose hips, mint, and lime. Did you know that hibiscus is currently researched for it's effects on high blood pressure? It's also a great source of healthy polyphenols, anthocyanins, and vitamin C! Hibiscus tea is not only tasty, it's also good for you. Just a little side note: I caught a cold recently, and I feel that drinking this tea sped up my recovery. Hibiscus, elderflower, and rose petals. Step 1. Add all herbs to a pot (I used a glass measuring cup), except the black tea. Scoop the black tea into a separate tea filter, and add it to the pot. Step 2. Bring 2 cups of water to 212°F (boiling). Pour the hot water over the herbs & black tea, cover, and allow to infuse for 5 minutes. At the 5 minute mark, remove the black tea, and allow the herbs to continue to steep for another 5 minutes. Step 3. If you would like to sweeten your tea, now is the time to dissolve the sugar into the hot tea. I recommend 3 tbsp. of sugar. Step 4. Next, transfer the tea to a pitcher, making sure to pour it through a filter to catch the loose herbs. Step 5. Add 3 cups of cold water to the pitcher, 3/4 cups of citrus juice, 1/4 cup of lime juice, and the juice of 1 lemon. Note: I like to filter out the pulp from the citrus. Step 6. Serve over ice and enjoy! This tea may be stored in the fridge for up to a week. 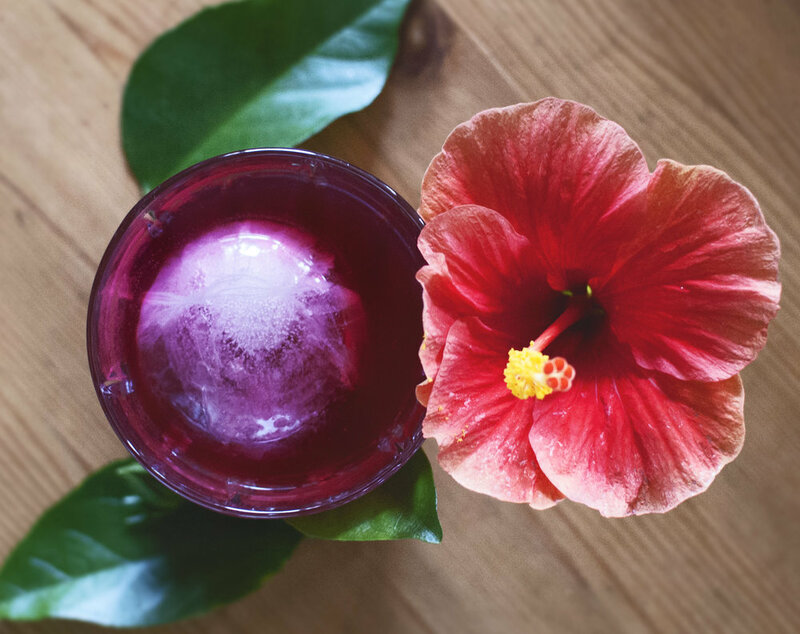 What's your favorite way to enjoy hibiscus?